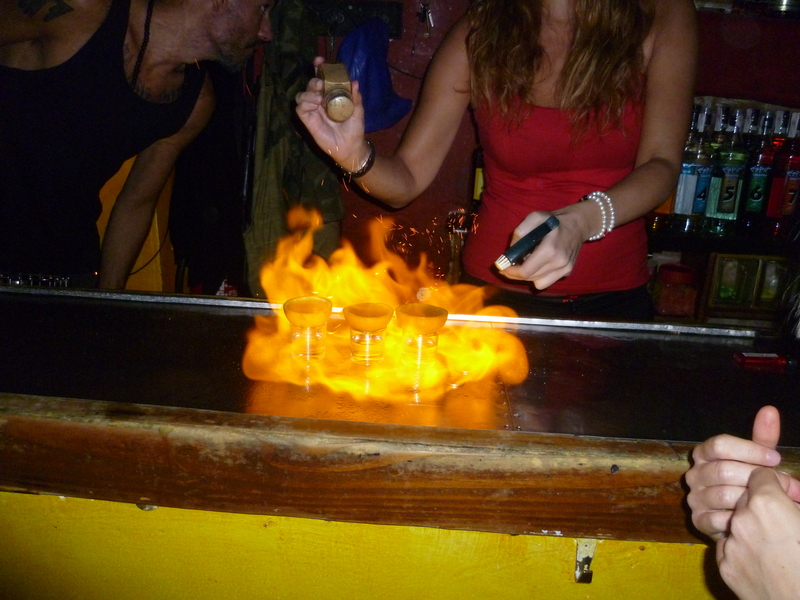 Whether you’re a big fan of chupitos (shots) or not, Espit Chupitos is a MUST-place to go! With over 30 different shots there will definitely be one that you will want to try! Of course its quite difficult to know what each shot consists of and how to take them (with fire? a straw? on your back? eyes shut etc.) seeing as the only menu they have is a big board with all the shots written on it but that’s what’s exciting about the place ! P.S I suggest you take the Monica Lewinsky… will not say anymore. ights that emphasize the white of your clothes, teeth and (BEWARE) foundation on women’s faces and good clubbing music. 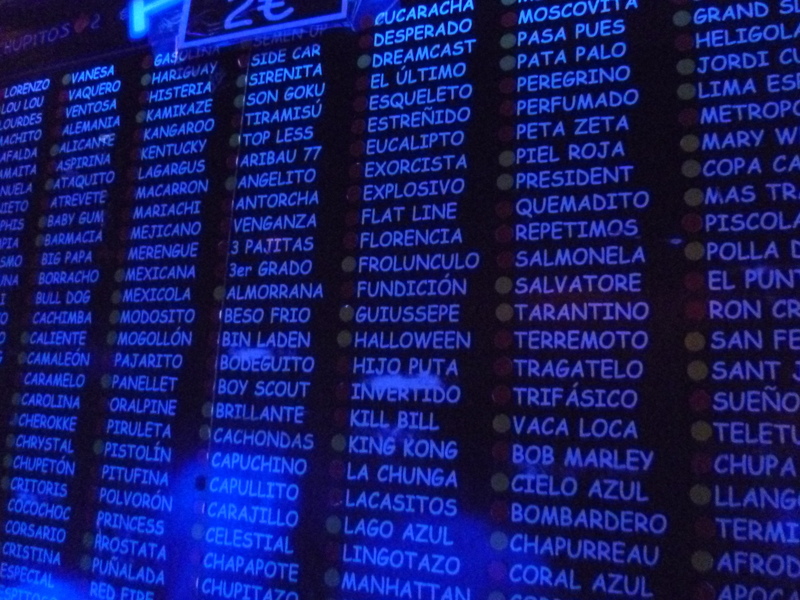 The prices are very good and on Tuesdays every shot is 1€!